All types of metal can be printed including sheet steel which can be powder-coated, printed, gloss lacquered and baked to an exceptional hardwearing long last finish. This sort of finish is developed for long term external use in exposed areas where vandalism may be a problem. 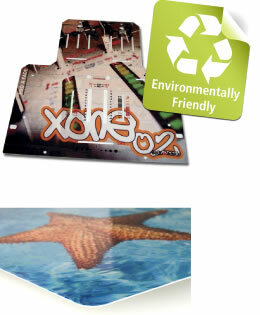 The lacquer and UV cured ink ensures the printed image will not deteriorate in many years of use. Being solid metal rather than a composite also means that the material is completely recyclable.